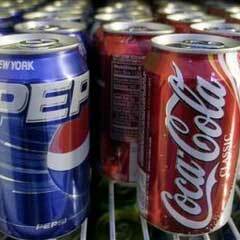 Should Fizzy Drinks Carry 'Cigarette-Style' Health Warnings? Should Fizzy Drinks Carry ‘Cigarette-Style’ Health Warnings? Sugary soft drinks should carry cigarette-style health warnings on their packaging, according to experts. Scientists have warned that drinking one can of soft drink a day can increase the risk of type 2 diabetes by a fifth. ‘This is a war and you didn’t even know you were fighting it,’ he told a nutrition conference last month.